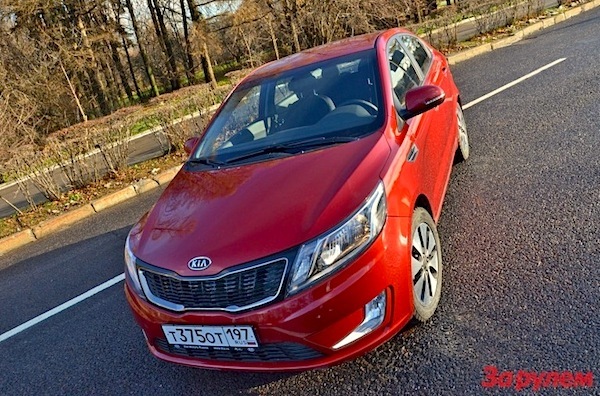 The Kia Rio is the first foreign model in at least 45 years to top Russian sales. This month the Russian new car market experiences an earth-shattering event – something that has only happened once since the creation of Lada, originally VAZ (Volzhsky Avtomobilny Zavod), in 1966. The local brand’s first model, the Lada 2101, debuted production in 1970 and was a localised version of the Fiat 124 adapted to treacherous Russian conditions. By 1973, 660.000 annual units were produced annually and by the end of the model line’s run in 2012, 17 million would have been made. In the past 45 years, it has been unconceivable that a Lada would not top the Russian sales charts. Even a shaky transition between the 2104/7 and Granta over 5 years (2008-2013) did not dent Lada’s invincibility at home. Only once, in December 2008, a foreign nameplate had managed to snap the overall Russian lead. It happened again this month: the Kia Rio is up 54% year-on-year in a market down 1% to hit 10,834 sales and 4.7% share. It snaps the Russian crown away from the Lada Granta, down to #2 with 10,520 units and 4.6% while the Hyundai Solaris is very close behind at 10,134 sales and 4.4%. 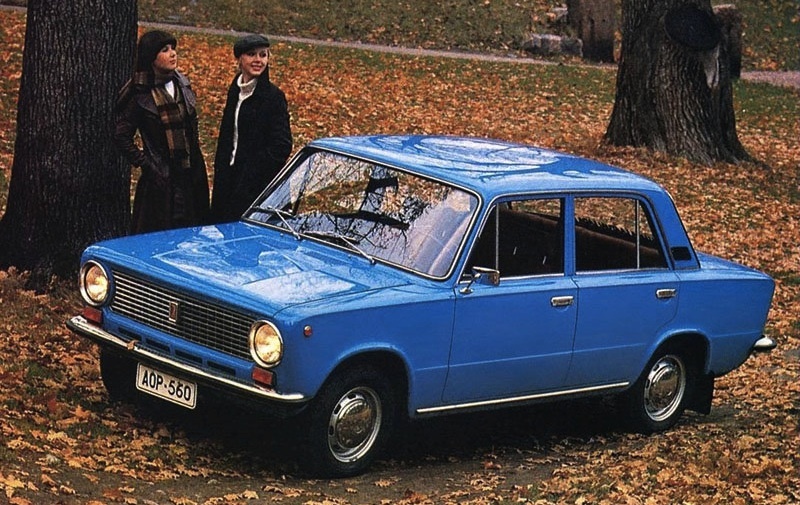 Every month since 1970 and the Lada 2101, a Lada has been #1 in Russia. Up until today. 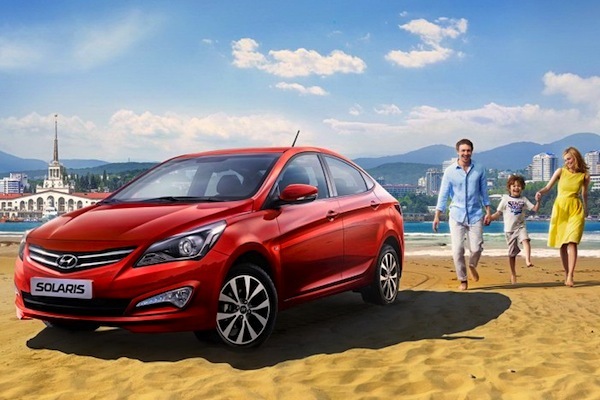 This is the first time the Rio sells above 10,000 units in a single month in Russia (previous best: 9,045 last April), making it only the third foreigner to cross that milestone with the Ford Focus (twice in 2008) and Hyundai Solaris. If the Focus top spot 6 years ago was a freak event, it is not the case here but the culmination of years of constant progression in the shadow of the Solaris. My Trans-Siberian trip last year brought to light the exceptional regularity of both the Solaris and the Rio in every corner of the country, from Tatarstan to far-East Siberia and Lake Baïkal. This success was built on word-of-mouth from the bottom up, from the rural regions to the bigger towns, and is the result of meticulous dealer network expansion across the largest country in the world by both Korean manufacturers. On the other hand, we are dealing with a 14% YOY decline for the Lada Granta, steeper than its YTD evolution (-9%). This could be due to some cannibalisation from the astoundingly successful Datsun on-DO, a low(er)-cost rebadge of the Granta manufactured at the same Togliatti plant. More on the on-DO below. The current period is also rather unusual in Russia as new car sales are heavily boosted by government scrappage subsidies to try and curb the sales down spiral triggered by Ukraine-related economic sanctions. On top of it, consumers are rushing to get ahead of widely anticipated new year price increases. Until now however, the scrappage subsidies had benefited Lada, but this month the Russian manufacturer is down 17% while Kia is up 19%, Renault up 8%, Hyundai up 4% and Toyota up 32%. All-in-all, Russian new car sales are down just 1% year-on-year to 229,439 registrations in November, the smallest decline since last March, yet the year-to-date total is still down a depressing 12% to 2,220,751 units. Could the Datsun on-DO be cannibalising the Lada Granta already? 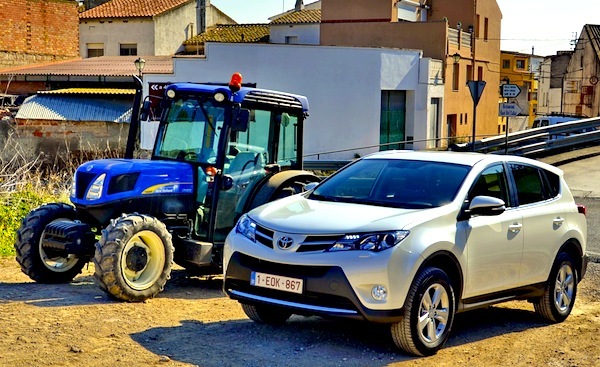 The Toyota RAV4 reaches its highest ever ranking in Russia this month. In other news, the Renault Logan is up by a fantastic 77% on November 2013 thanks to the new model to rank #4 overall for the 2nd time this year after August, and with the Duster at #5, Renault places two models inside the Russian Top 5 this month, something local behemoth Lada did not manage… The Toyota RAV4 is up 50% YOY to climb up to #7, simply and by far the nameplate’s best-ever ranking in Russia (previous best: #10 in April 2013), the Nissan X-Trail is up 13% to #15, the Hyundai ix35 up 48% to #19, the VW Tiguan up 44% to #22. 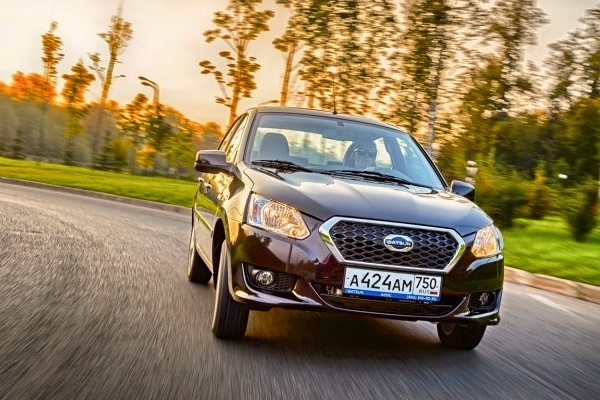 For 4 compact SUVs doing well we have 3 compact sedans really struggling in Russia at the moment: the Ford Focus (-62%), Chevrolet Cruze (-46% YTD) and Toyota Corolla (-39%). On the brands side, note the exceptional performances of Lexus (+65%), Porsche (+55%), Subaru (+35%), Jeep (+33%) and Mazda (+24%) and the nightmarish ones of Daewoo (-66%), Mini (-32%) and Ford (-26%). Full November 2014 Top 55 All-brands and Top 25 models Ranking Tables below.